Start off your visit on the 20th (Fri): take a stroll through El Barri Gòtic, admire the local landmark of Magic Fountain (Font Magica), then appreciate the history behind Casa Batllo, and finally admire the striking features of Basilica of the Sagrada Familia. Get ready for a full day of sightseeing on the next day: get interesting insight from Tours. To see traveler tips, ratings, where to stay, and tourist information, go to the Barcelona travel planner . If you are flying in from Canada, the closest major airports are Barcelona International Airport, Girona Airport and Reus Air Base. In July, plan for daily highs up to 34°C, and evening lows to 25°C. Finish your sightseeing early on the 21st (Sat) so you can travel to Cap d'Ail. Kick off your visit on the 22nd (Sun): contemplate the long history of Villa Grecque Kerylos and then explore the galleries of Villa & Jardins Ephrussi de Rothschild. To find ratings, more things to do, photos, and other tourist information, use the Cap d'Ail trip itinerary maker website . Use the Route module to find suitable travel options from Barcelona to Cap d'Ail. July in Cap d'Ail sees daily highs of 32°C and lows of 24°C at night. Wrap up your sightseeing by early afternoon on the 22nd (Sun) to allow time for travel to Nice. Start off your visit on the 22nd (Sun): appreciate the extensive heritage of Saint-Paul de Vence. To find where to stay, ratings, maps, and other tourist information, read our Nice online driving holiday planner . Nice is just a short distance from Cap d'Ail. In July in Nice, expect temperatures between 32°C during the day and 25°C at night. Finish up your sightseeing early on the 23rd (Mon) so you can catch the train to Monte-Carlo. On the 23rd (Mon), explore the fascinating underground world of Exotic Garden (Jardin Exotique). To find photos, other places to visit, maps, and more tourist information, go to the Monte-Carlo visit planner. Monte-Carlo is just a short distance from Nice. In July, daily temperatures in Monte-Carlo can reach 32°C, while at night they dip to 25°C. Finish your sightseeing early on the 24th (Tue) to allow enough time to drive to Milan. Start off your visit on the 25th (Wed): get to know the fascinating history of Piazza del Duomo, then see the interesting displays at Castello Sforzesco, then take in the spiritual surroundings of Duomo di Milano, and finally buy something for everyone on your list at Galleria Vittorio Emanuele II. To find traveler tips, reviews, photos, and tourist information, use the Milan itinerary planner . Drive from Monte-Carlo to Milan in 3.5 hours. Alternatively, you can take a train; or do a combination of bus and flight. Traveling from Monte-Carlo in July, plan for a bit cooler nights in Milan, with lows around 21°C. Wrap up your sightseeing on the 26th (Thu) early enough to travel to Paris. 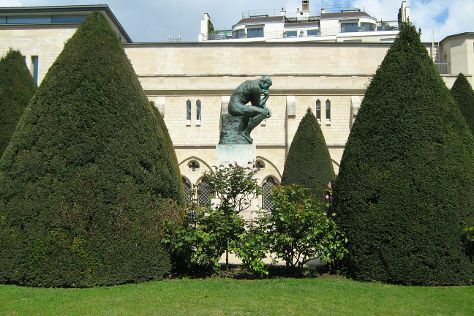 Start off your visit on the 26th (Thu): see the interesting displays at Musee Rodin, take a stroll through Saint Germain des Pres Quarter, then step off the mainland to explore Ile Saint-Louis, and finally explore the activities along Seine River. To find other places to visit, traveler tips, more things to do, and more tourist information, use the Paris trip planner . You can do a combination of flight, bus, and train from Milan to Paris in 4.5 hours. Alternatively, you can do a combination of flight and shuttle; or drive. Traveling from Milan in July, things will get slightly colder in Paris: highs are around 30°C and lows about 18°C. You'll have a few hours on the 27th (Fri) to wrap things up before traveling to London. 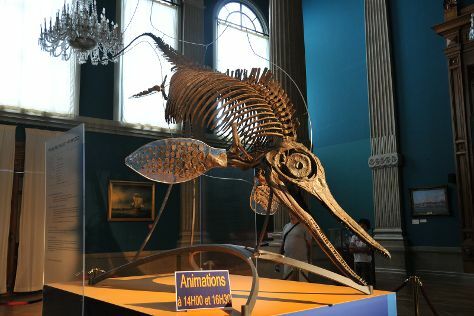 Natural History Museum and Victoria and Albert Museum will appeal to museum buffs. Westminster Abbey and St. Paul's Cathedral are good opportunities to explore the local culture. The adventure continues: admire the masterpieces at British Museum, make a trip to Buckingham Palace, get some thrills on the water with a speed boat tour, and learn about all things military at Churchill War Rooms. To find where to stay, photos, ratings, and more tourist information, you can read our London tour planning app . Take a train from Paris to London in 2.5 hours. Alternatively, you can fly; or do a combination of car and train. The time zone difference moving from Central European Time (CET) to Greenwich Mean Time (GMT) is minus 1 hour. When traveling from Paris in July, plan for a bit cooler days and about the same nights in London: temperatures range from 26°C by day to 15°C at night. Finish your sightseeing early on the 30th (Mon) to allow enough time to travel back home.